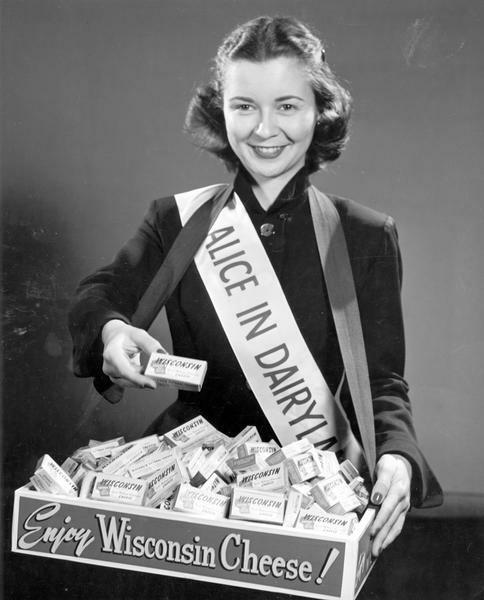 Margaret McGuire, named the first Alice in Dairyland in 1948, promotes Wisconsin cheese. Even though Margaret was Alice in 1948, they asked her to help out again in 1952 with promotions in the Chicago area where she was living at the time. She did promotions in the Spring of 1952.